Every winter your home is hit by cold, wind, and snow. Most of the time your property can handle this assault. However, there are some areas that need a little preventative and ongoing maintenance to protect them. 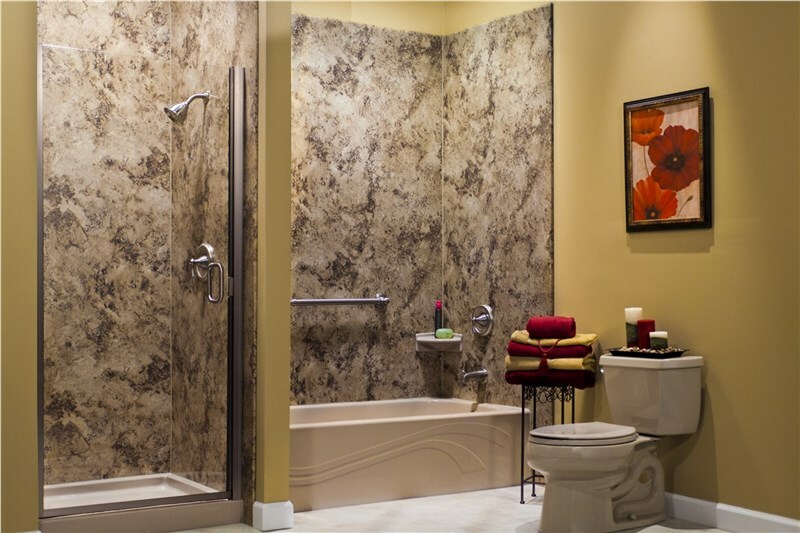 As a bathroom company based in Chicago, Tiger Bath Solutions has repaired a lot of the damage caused by winter weather. We know that customers prefer to avoid having to replace pipes, bath surrounds, and even fixtures, so here are a few things you can do to help your bathroom handle those freezing temperatures. If you have any exposed pipes in the bathroom or other areas of the home, pick up some simple flexible foam pipe insulation. Available in a variety of diameters and lengths, it is easy to wrap around exposed pipes to keep them from freezing and potentially splitting. If you have bathroom pipes in outer walls of the home, consider having them inspected by a professional. You'll want to make sure that the wall has plenty of insulation to keep those pipes and your home warm. If you have a multi-piece bathtub and wall enclosure, the caulking between those pieces and the grout between your tiles is vital for keeping moisture from seeping into the walls. Once moisture gets into these spaces, it can damage wood and drywall, providing a place for mold and mildew to grow. 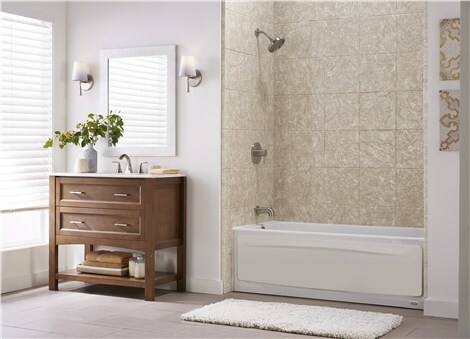 Bathroom remodeling may be another solution to consider if you're tired of this yearly maintenance need. Tiger Bath Solutions can install a one-piece bath surround without these openings. Take the time to wipe up moisture from the shower and bathroom windows after using the bath. Water condensation, even on surfaces, can provide a place for mold and mildew to take root. Our acrylic fixtures are impregnated with antimicrobial technology, so you won't have to deal with this problem, even if you do forget to wipe up water. A bathroom fan is essential for pulling moisture-rich air out of this space and out of your home. If you don't have an exhaust fan installed, consider this project before the weather turns severe. The fan will help remove steam that can condense into water on your bathroom surfaces. It's also helpful for removing unwanted odors any time of year! If you are considering a bathroom remodeling project to prepare your home for winter, Tiger Bath Solutions offers prompt, efficient services. We'll be happy to set you up with a FREE in-home consultation to discuss your needs. Give our team a call or fill out our online form to request a FREE price estimate today!